Nick Earl and Clara Evans top the parkrun rankings this week but that doesn’t tell the full story this weekend. Here are the fastest parkrun times in the UK on Saturday (September 29). City of Norwich AC athlete Nick Earl may be based in Australia, but is back on home turf recently. At Kingston parkrun, just a week after wining the Richmond Runfest marathon in 2:32:33, the Tim Ash coached athlete ran 14:52. Respected City of Norwich coach Ash, who alongside his wife Pauline has coached some of the best and brightest talents of Norfolk, told Fast Running that Earl is training for the Melbourne Marathon in three weeks time. 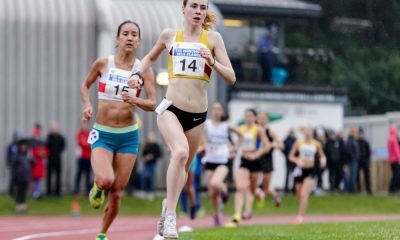 Meanwhile Clara Evans was the fastest female with a 16:50 time at Cardiff parkrun, Wales. 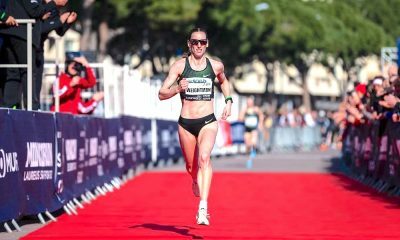 The 2:46 marathoner is a prolific racer and parkrunner and will be deep in her preparations for the Commonwealth half marathon champs (October 7) in Cardiff. There was actually several faster times at parkrun this week though. 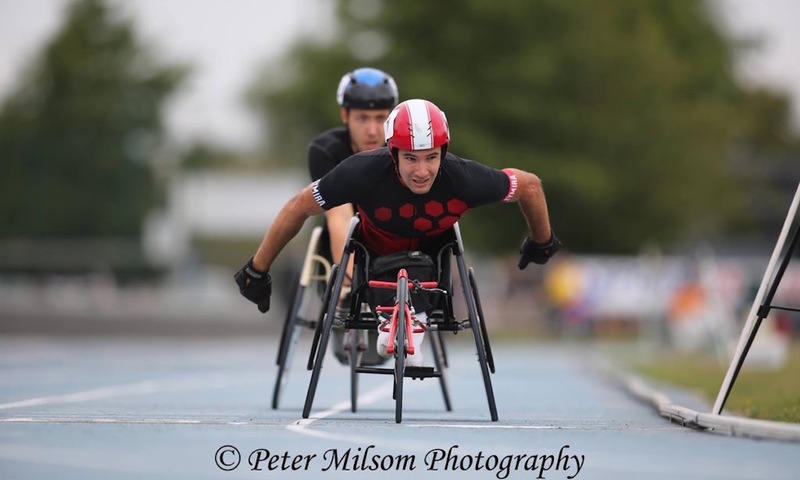 Firstly wheelchair athlete Danny Sidbury completed Dulwich parkrun in an astounding 11:29. The time was so fast it wasn’t even allowed within the parkrun system. From Power of 10 it seems that Sidbury is a specialist at shorter distances such as 100, 200, 400, 800 & 1500m track events. There was, however,time for a new half and full marathon PB this year with 53:16 and 1:46:26 respectively. Two other athletes also do not feature in the rankings who ran quick times, with Jason Pascoe, of Active Dog Cornwall running 14 minutes flat at Penrose parkrun in Cornwall and Louise Mitchell of Cani-Sports Edinburgh running 16:49 at Falkirk parkrun. Quick times for cani-cross, but not times we feature in the rankings weekly. Ben Robinson featured last year when he ran 5k quicker than world record pace with his Greyster Blake. There were two female athletes under 17 minutes this week with Ruth Barnes, of Avon Valley Runners, posting 16:57 at Poole parkrun on the south coast. This is only two weeks after winning the Swansea Bay 10k in 34:23. Already in 2018 the Wiltshire runner broke 75 minutes for the first time in a half marathon in Grannolers, Spain. Last week’s fastest UK runner, Allan Stewart, was once again at Bushy parkrun but although his 15:16 was quicker than last week, it was only good enough or third this week. 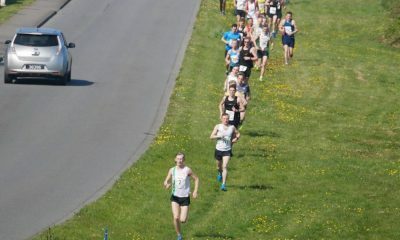 Andy Coley-Maud of Clapham Chasers RC ran a fine 15:06 to take second spot this week. the cross country specialist was second at the Saucony English National Championships this year and must be getting geared up for some muddy running this Autumn. 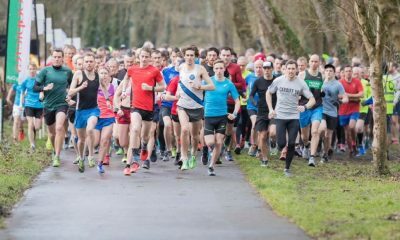 It seems there was a bit of a tear up at Cardiff parkrun with three athletes running their way into the top 10 and all within six seconds. Stephen Mitchell of Bristol and West AC beat his club mate Phil Radford by just two seconds with their times 15:33 and 15:35. Ciaran Lewis of Cardiff AAC ran 15:39 to almost break up the Bristol and West party. 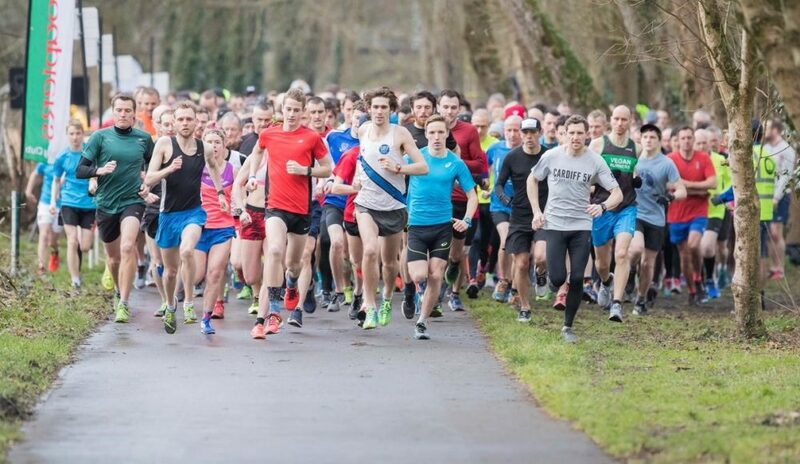 It means that with Clara Evans topping the female ranks, Cardiff parkrun features four times in this week’s rankings and is the fastest parkrun in the UK. Only Bushy parkrun also featured more than once. Please note 11 females have been listed this week as one was a late addition and it seemed fair to extend it, rather than cut someone from the article.